By now we’ve all heard numerous times about the importance of getting a good night’s sleep. The problem is, opinions vary widely on what exactly constitutes a “good night’s sleep.” To start with, there are different levels of sleep that we may or may not achieve, not to mention a number of varying opinions on how much sleep we need. Well, the answer is, that depends. There are a number of different factors and variables that determine how much sleep we need, including age, gender and season. Here is a look at some of the different factors that determine just exactly how much sleep you need to get enough sleep. Depending on how people view sleep, one of the common complaints – or sometimes “brags” – of the elderly is how little sleep they get. For some, this is a constant source of irritation, while others seem to enjoy how little sleep they need. 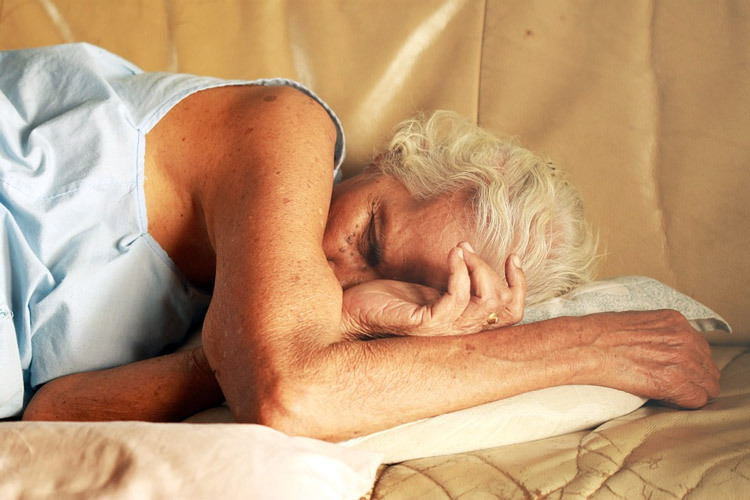 The truth is, however, that the elderly may actually need more sleep than they get. According to a study conducted by the Beth Israel Deaconess Medical Center and the University of Toronto, there is a cluster of neurons that helps regulate sleep patters that may slowly die off as you age. This means that even though people in their 70’s may sleep 1.5 less hours per night than they did when they were in their 20’s, it doesn’t mean they are actually getting enough sleep. New research from Duke University shows that women actually need more sleep than men. Not only that, but the study also showed that women will experience far greater mental and physical consequences from inadequate rest. The theory behind this is that women tend to think – or use their brain – significantly more than men, which leads to a greater need for the cellular repair that occurs during sleep. Among other findings, the research showed that women who got inadequate sleep showed a significantly increased risk of heart disease and diabetes, no to mention higher levels of stress, depression, anxiety and anger. For years, the debate has raged on about Daylight Savings Time and conspiracy theories about as to how it came into being and why we still have it. The truth is, our bodies are far more in tune to the sun than they are to the electronic counter we call a clock. In short, the sun comes out for a longer period of time each day in the summer than it does in the winter. Daylight Savings Time is an attempt to keep the electronic clock more synched with the great solar clock in the sky. Our bodies actually function according to something called “circadian rhythms.” This is essentially an internal clock that you do not control that tells you when to rise and when to sleep. In the winter, we often try to fight this rhythm by staying up late or in summer by trying to go to bed early. People who pattern their sleep schedule around this natural rhythm will often find themselves getting much better sleep than people that try to be ruled by an alarm clock. When you are fighting off a cold, flu or other infection or recuperating from surgery or some other injury, you may find yourself either sleeping far more or feeling tired all the time. This is because your body is quite literally waging a war and it needs all of its energy and resources to do it. When you are awake, you breathe more often, blink more often and your heart has to beat faster to keep blood flowing fast enough to oxygenate your brain. All of these functions require a great deal of energy, leaving little left over for your body to fight off the virus or infection. When you are sleeping, your body can shut down a number of functions, such as digestion, to focus more energy on fighting off foreign invaders. Mental health issues often have a profound effect on sleep. In fact, chronic sleep problems affect 50% to 80% of patients in a typical psychiatric practice. Sometimes, a lack of sleep may actually be the root cause of some mental health issues. In other cases, your mental health affects your ability to sleep. Regardless of what came first, the chicken or the egg, good mental health is important for sleep and good sleep is important for good mental health. Ultimately, the answer to the question of how much sleep is enough sleep is going to be slightly different for everyone. Further, how much sleep a person needs at one time might be different from how much sleep they need at a different time. What it all boils down to, however, is generally how well you feel. If you constantly feel tired, exhausted and run-down, there is a good chance you are either not getting enough sleep or the quality of your sleep is poor. If you know the problem is not having enough time for adequate sleep, you may need to make some lifestyle changes to give yourself more time for sleep. If you are leaving plenty of time for sleep and still feel tired, exhausted and run-down, you may want to explore why you are not getting enough sleep or what the other causes could be of feeling that way. In some cases, people mentally feel like they don’t need as much sleep as they do. Sometimes, people have been raised with the mentally that sleep is “bad” or only lazy people get a full night’s sleep. Other times this same idea was introduced later in life, but still took root. Whatever the reason or cause, not getting a good night’s sleep can have a profound effect on both your physical, mental and emotional health in both the short term and the long haul. While there is no one singular answer to how much sleep you need, if you’re not getting it, you will generally know.